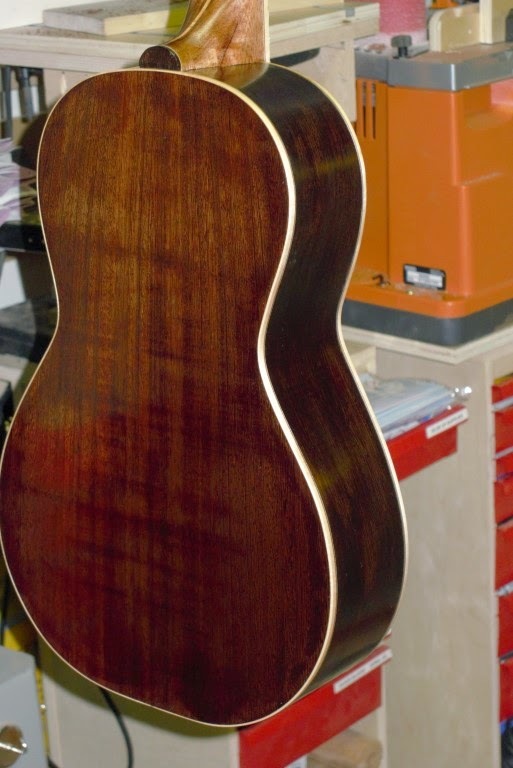 Spend a couple of hours French polishing.. got the back & one side done..
Whew, it's taken a bit of time and way to much pore filling & sanding but I just put the first base coats of shellac on the parlour guitar.... Looking forward to seeing how this Royal Lac hardened shellac works out. 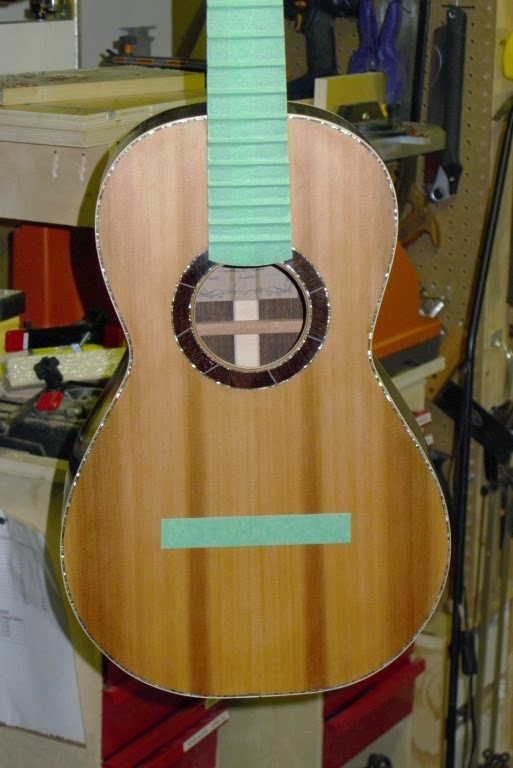 So the humidity is not the best for building guitars right now but I am still plugging away at pore filling the parlour guitar and it is almost done... whew.. 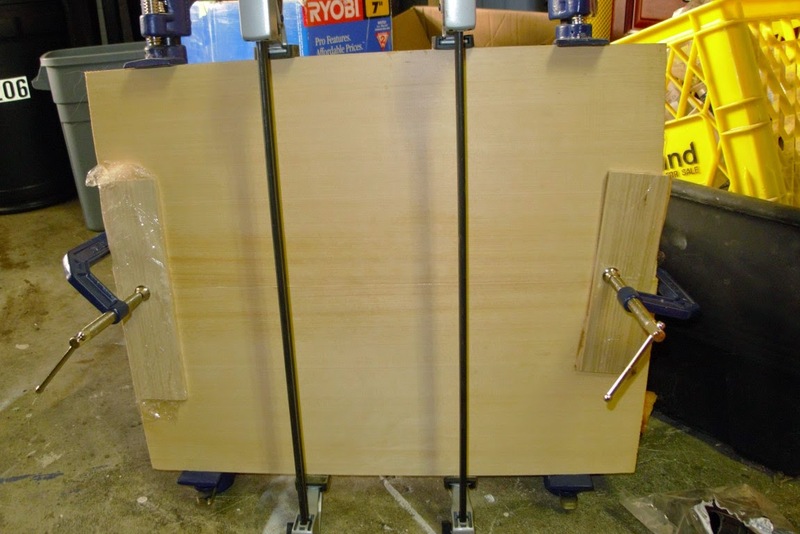 I'm going to be trying a new shellac formula on it for french polish from Shellac Finishes called Royal Lac it sounds very promising..
Also I'm working on fixing up the first non-dulcimer instrument I ever made a Mandocello.. I seriously screwed up on the design and now I'll be replacing the original flat top with a carved arch.. I just jointed the top (some decent Yellow Cedar) tonight..